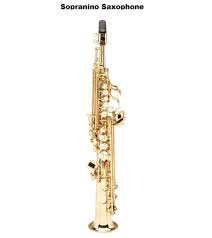 What are the 14 different types of saxophone? 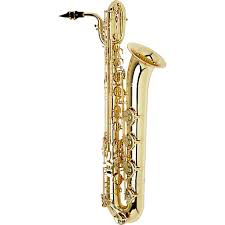 I heard my saxophone instructor say that there are 14 sizes of saxophones. I've only heard of 4 (soprano, alto, tenor, baritome). What are the other 10 types? 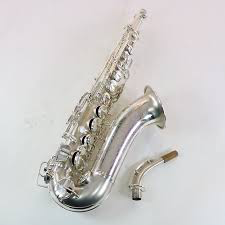 Today, saxophones are either in Eb or Bb, but C and F saxophones were produced in the early 20th century, so some of the standard horns had C and F counterparts. 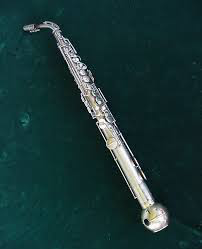 The most common of these was the C melody sax, which was a C version of the soprano that was popular because it used to read piano music (without transposition). 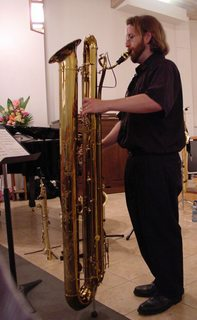 There was also an F mezzo-soprano that has been used by a few performers (https://en.wikipedia.org/wiki/Mezzo-soprano_saxophone). 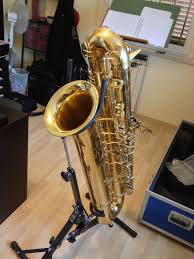 Some other obscure ones include sopranino (smaller than a soprano), contrabass sax (bigger than bass), and even the sub-contrabass sax (which was used by the Nuclear Whales Saxophone Orchestra). 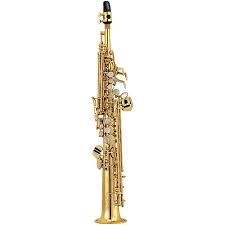 From Yamaha there were 14 types, but according to Yamaha now only 5 are in wide spread use: soprano, alto, tenor, baritone, and bass. I tried to dig deeper to verify the claim of 14, but I could not find anything conclusive. 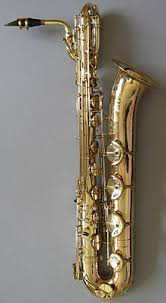 Some sources claim the number comes from a patent that Sax obtained, but even that cannot be easily confirmed. 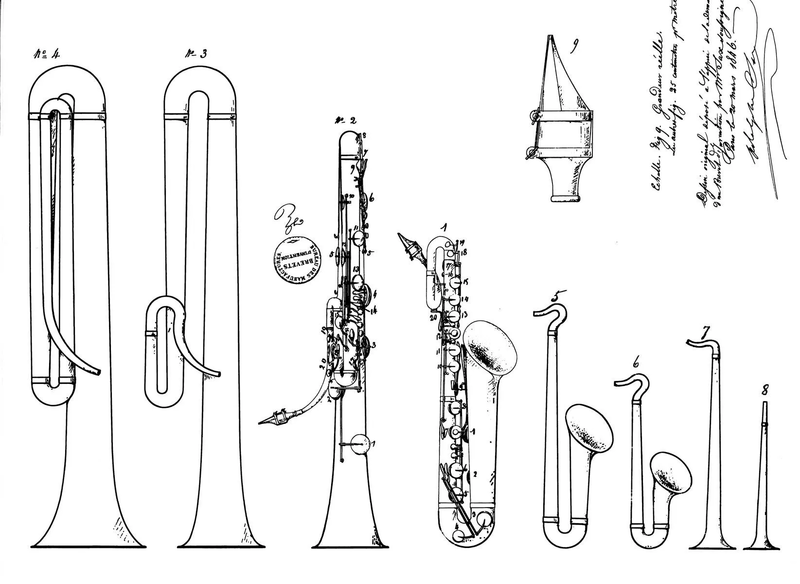 In fact, I found this article about the saxophone patents: McBride, The Early Saxophone in Patents 1838-1850 Compared. ...no definitive claim could be made from just that picture, nor does it give names. ...but I'm not going to attempt making a list here, because I can't confirm anything other than the well known list of five above. At least with those I have seen them all with my own eyes! 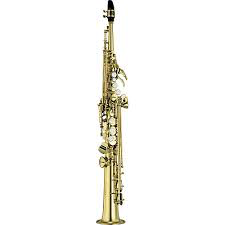 There are 9 Saxophones in the primary family (marked with a dagger (†)). 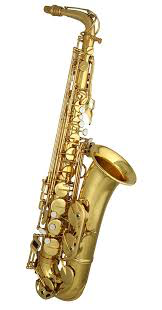 And there are as many as 15 types of saxophones, depending on how you define the word. The first four in the list are the most common. 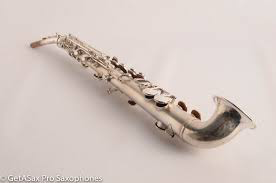 Instruments marked with an asterisk (*) are not always considered true saxophones and any one of them may not have been considered one of the 14 by the instructor. Not the answer you're looking for? 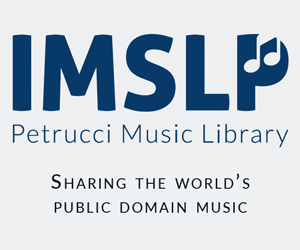 Browse other questions tagged saxophone or ask your own question. 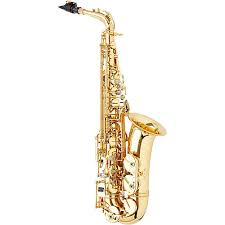 What are the best techniques to play overtones in the saxophone? 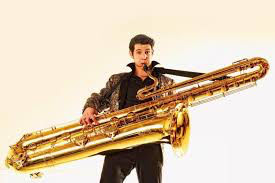 How can I make the individual saxophones stand out?